Does General Twining Memo Prove The Existence of UFOs and Alien Life? Did UFOs prompt a secret agenda? For good reason, this is one of the most important UFO documents we have. 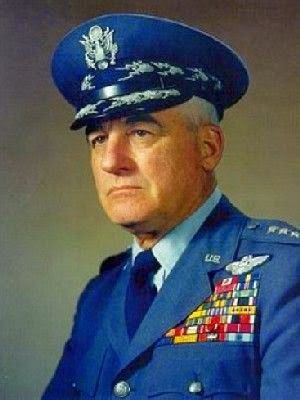 On September 23, 1947, right at the beginning of the “modern” UFO era, four-star General Nathan Twining, Head of the U.S. Air Material Command (AMC), wrote a classified letter to Air Force General George Schulgen regarding the “flying discs." He confirmed that saucer-shaped UFOs were, “real and not visionary or fictitious”. Twining spoke of “the lack of physical evidence in the shape of crash-recovered exhibits which would undeniably prove the existence of these objects”. However, Twining had effectively been put in charge of UFO studies by the Government. He had a very high security clearance, it is highly likely that even if he did know of such crashes he would have been unable to tell the recipient of his memo, General George Schulgen, about them. The level of the security classification dictated that those involved were only made privy to information on a ”need to know” basis. If Schulgen had no need to know, he wouldn’t be told. Intriguingly, Twining made it clear that if UFOs were of “domestic origin” he certainly wasn’t aware of it. It would have been superfluous in the extreme to order further study of UFOs if Twining knew that they were simply top-secret American aircraft, as the skeptics sometimes claim. There isn’t a shred of evidence that the US Air force or any other organisation, military or civilian, were testing experimental aircraft that could perform the mind-boggling aerial manoeuvres that the UFOs were capable of. Why did Twining write his memo just at that time – September 1947? In July of that same year, the National Security Act was passed, bringing into existence the CIA, the National Military Establishment, the National Security Council and, shortly afterward, the Department of Defense. The major elements of the act were activated in September of that year. Of course, part of the motivation for the passing of the Act had been World War II. However, some think that there may have been another, more secret agenda at work. July 1947 was also the time when a UFO was said to have crashed at Roswell in New Mexico – just weeks before the National Security Act was passed – and it is here where General Nathan Twining re-enters the picture. On Monday, July 7, Twining suddenly made an unscheduled visit to Alamogordo Army Air Field, New Mexico. 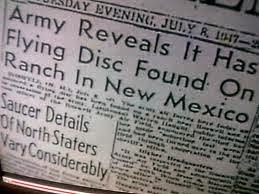 On July 8, the very day after Twining travelled to Alamogordo, the Roswell Army Air Field (RAAF) Public Information Officer, Walter Haut, authorised a press release which stated that members of Roswell Field’s 509th Operations Group had recovered a “flying disc”, which had crashed near Roswell. Roswell is only a little over 100 miles from Alamogordo, which is very unlikely to be coincidental. Twining had originally been scheduled to attend a meeting with executives of Boeing at that time, but hurriedly cancelled. On July 17, Twining wrote to a senior executive and apologised for not attending the meeting, “due to a very important, sudden matter that developed here.” You don’t have to be a rocket scientist to guess what that may have been. Then, as soon as the National Security Act came into force, Twining sent his memo to General Schulgen expressing his concern about UFOs. Twining knew more about UFOs than most people did back then – and more than most of us know now. With the hindsight of more than seventy years, there is simply no credible evidence that the U.S. had any craft in 1947. Either experimental or otherwise, that could duplicate the reported maneuvers of flying saucers. Why would Twining tell Schulgen to keep studying flying saucers if they were simply classified American craft? If there were good reasons for doing so, none have emerged.